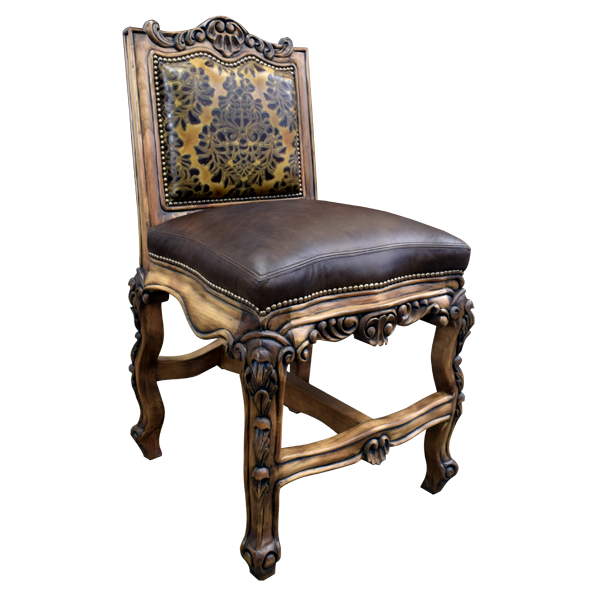 The design of this spectacular bar stool is very similar to the Conquistador as seen in the previous photo. 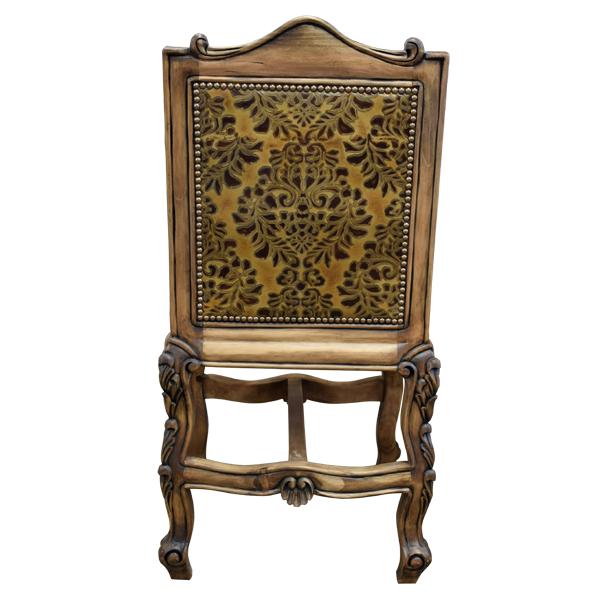 This bar stool contains similar features as the Conquistador such as hand-carved scrolling and details in the top crest, the body rim, and the main body. 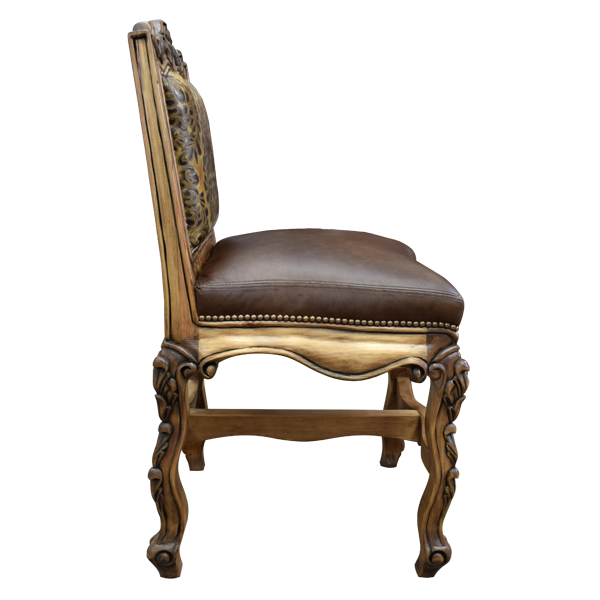 The highly worked leather of the seatback reflects a colonial Spanish influence, and the leather covering the seat is a rich, dark brown. The stain that is applied to the wood, which is called “Old Spanish Brown”, gives the bar stool a radiant finish. As in the Conquistador, the Conquistador III bar stool has a midway “H” stretcher with hand-carved shells and tapered feet. 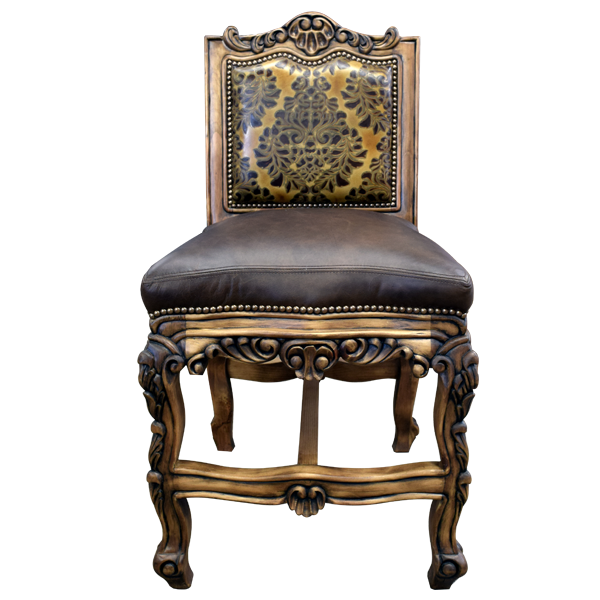 This handcrafted bar stool has an opulent finish and is 100% customizable.